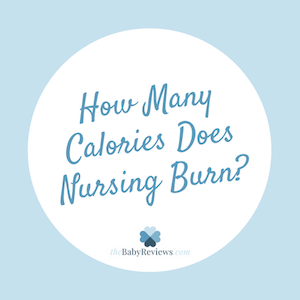 The Baby Reviews - Your trusted guide to baby gear and tech. 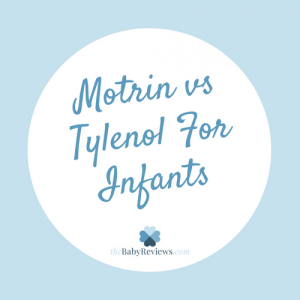 Motrin vs Tylenol For Infants: Which Should You Use? When your child is in pain or has a fever, you need to choose a fever reducer/pain reliever. The most common medications are Tylenol and Motrin. For years, each claimed on their television advertisements that their product was recommended most by pediatricians. Over the last few years, both Motrin and Tylenol stopped making these claims. This leaves it up to you to decide which is the best fever reducer to give your child. If your child has an infection that is causing the fever, neither medication will cure them faster. However, the fever reducer will help your child feel better faster and it will prevent their fever from spiking which can be dangerous. 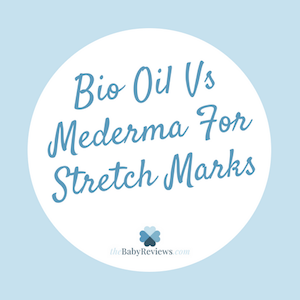 Bio Oil Vs Mederma For Stretch Marks: What Is Better? Although stretch marks can occur throughout many parts of a woman’s life, many women are most interested in fully getting rid of them during and after pregnancy. While you may not be able to eliminate these marks completely, many of them can be dramatically lightened. Whether you currently have stretch marks or simply want to prevent new ones from forming, products such as Bio Oil and Mederma can help you achieve your beauty goals. One important decision parents must make when preparing for a new baby is how he or she will be fed. If breastfeeding is the route you take, there are sure to be times when mom will be out of pocket and your baby will still need to eat. Whether mom will be heading back to work or simply wants to spend a relaxing night away, having a great breast pump is the way to go to ensure your baby will have plenty of milk on hand whenever he or she needs it. If your child suddenly started coughing, would you be able to tell if he/she needed immediate medical attention? While most coughs eventually pass without any problems, others are much more serious. Many parents have comforted a coughing child at some point in their lives, and more than likely their little munchkin was suffering from a respiratory illness like a cold or flu. However, in many cases, your child’s cough may be an indication of a more severe condition such as croup, RSV, or whooping cough. Depending on which one of these illnesses your child has, his/her cough can clear up within a few days or several months with the appropriate treatment. 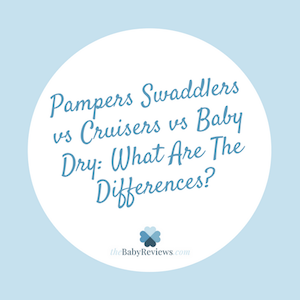 Pampers Swaddlers vs Cruisers vs Baby Dry: What Are The Differences? Choosing the best diaper for your baby can feel like an overly-complicated task. Each diaper is designed with a specific set of features. But which one is right for your baby? Which features do they really need? Here’s a quick comparison of Pampers brand diapers to help you make the right decision with ease. The vast majority of people agree that breastfeeding is the best decision parents can make when it comes to feeding their baby. Each mother generates a fluid that has been formed from each baby´s individual needs that is the reason why breast milk is the healthiest and most nutritious food that exists.